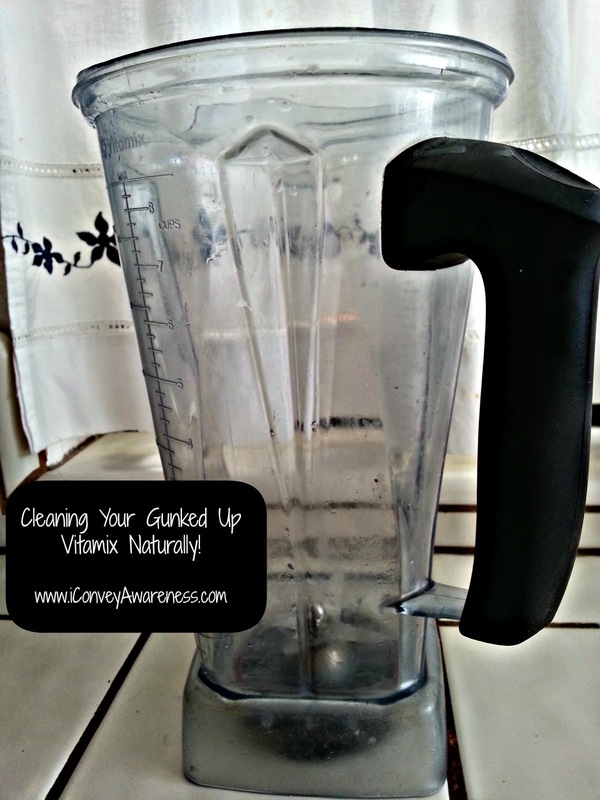 Conveying Awareness with Jessica David: Cleaning Your Vitamix Naturally! 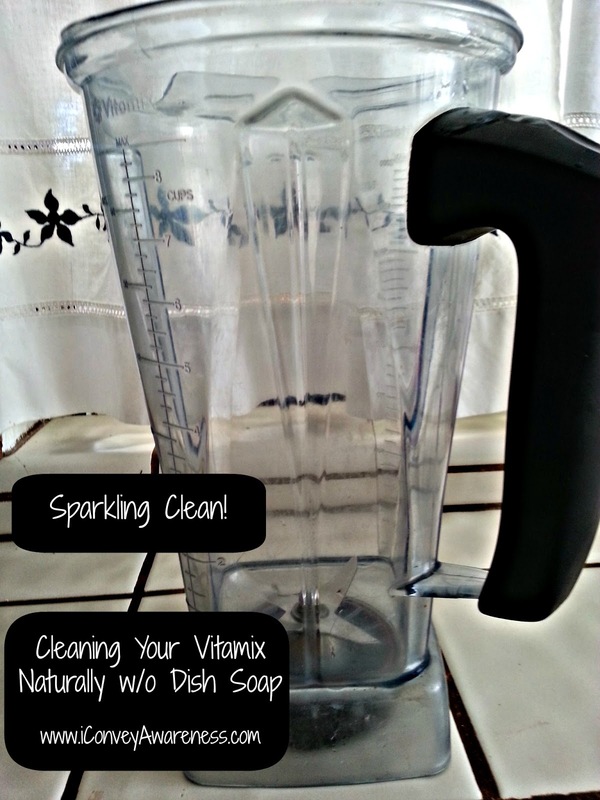 As an owner and daily user of the Vitamix 5200, I find that the simple dish soap with water tends to add build up or gunk to the inside of the container over the course of several washes plus hard water doesn't help! So, I've come up with a cleaning solution and it's all natural. After blending, rinse the container in hot water. The way they suggest is to fill the container to the half way point with hot water and add 2 drops of dish soap. Turn it on variable low to 10 then kick it up to variable high and run it for 30 seconds. This way does work but an extra deep, natural cleaning step may be needed after awhile. Some grit, water stains, and gunk. 1. 1/3 cup of white distilled vinegar. 2. 3 tablespoons of 3% hydrogen peroxide. 3. 1/4 cup of baking soda. After bubbling slows, add hot water to the half way point. Turn it on variable low to 10 then kick it up to variable high and run it for 30 seconds. Empty and rinse one last time in hot water. Dry. Baking Soda, Vinegar, Hydrogen Peroxide & HOT water. Great question! 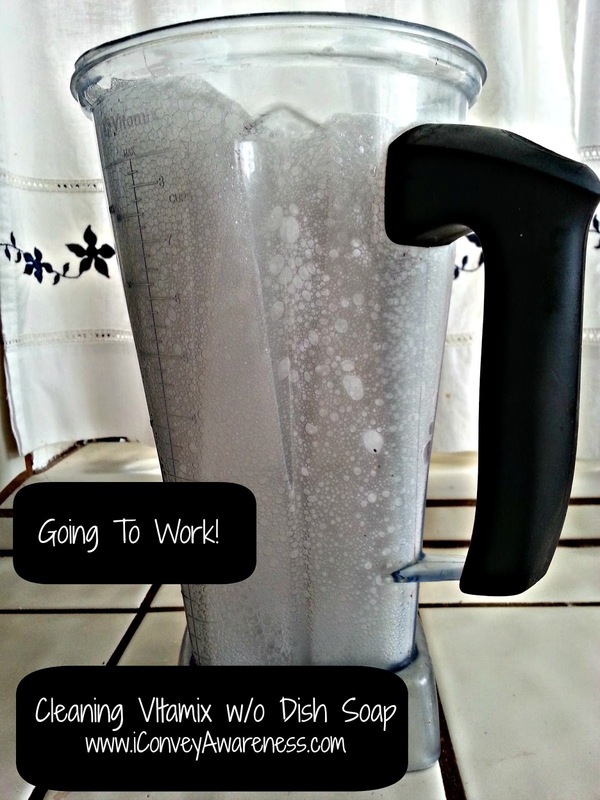 The Vitamix is a high speed blender and food processor all in one. You can also knead bread in a Vitamix container (5200 and above). If you or someone you know is interested in the Vitamix, please be sure to use the code on my page to get free shipping. Brilliant! I was just noticing a film on mine this morning. I'll have to give this a try. Thanks! Much easier solution is to dry thoroughly after washing.